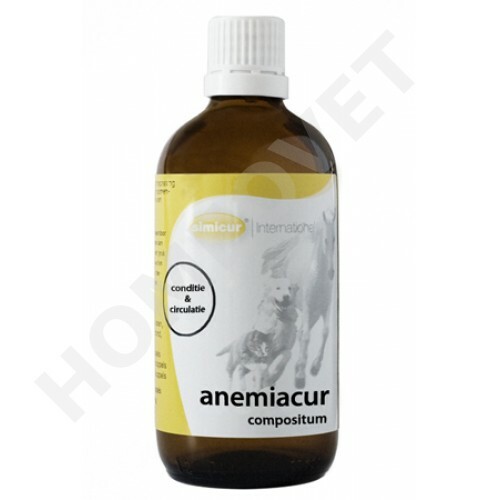 Anemiacur is a homeopathic tincture in a 100 ml dropper bottle of SIMICUR for oral use in dogs, cats, horses and ponies. Anemiacur is composed on the basis of homeopathy and phytotherapy from highly diluted plant extracts and minerals. Effect: The constitutional stimulating effect of calcium fosforicum in combination with the cell metabolism-stimulating effect of Arsenicum reduces fatigue. By canceling the anemia by both Marrubium and Ferrum fosforicum simultaneously creates a better condition. Content: 100 ml = 2250 drop. Homeovet Seaweed for horses The natural supply of minerals, amino acids, trace elements. Homeovet Linseed oil for horses cold pressed contains 3-6 omega fatty acids.